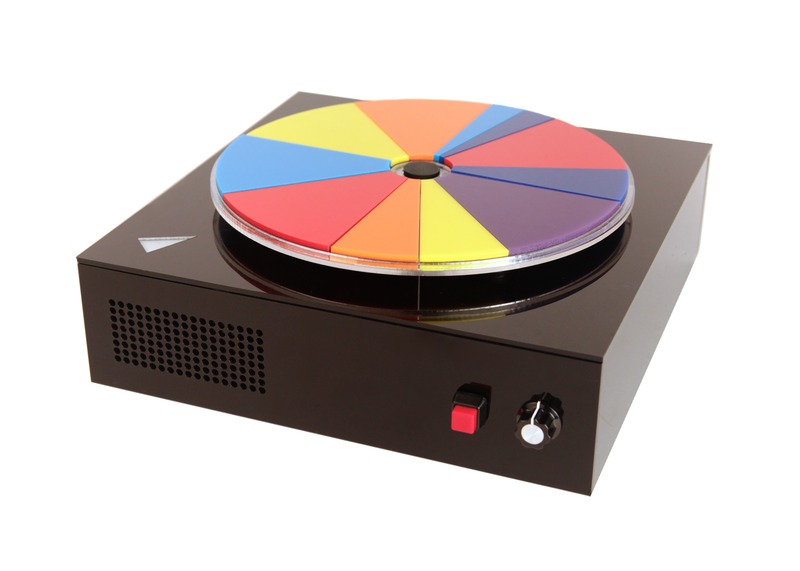 ColorPlay is a musical instrument that is played by arranging colors. 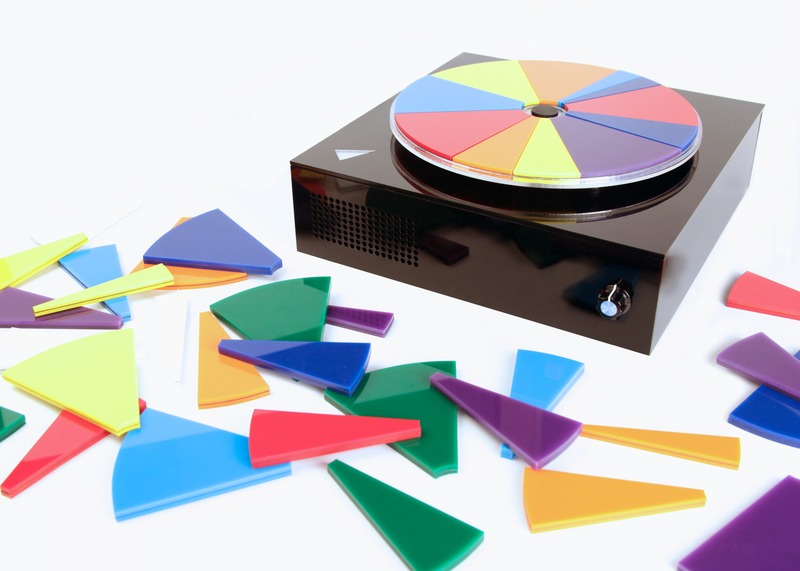 The musician arranges colorful wedges on a disk that spins - making their composition come alive. The 8 colors of the rainbow (ROY G BIV + White) become the 8 notes of the Major C scale. 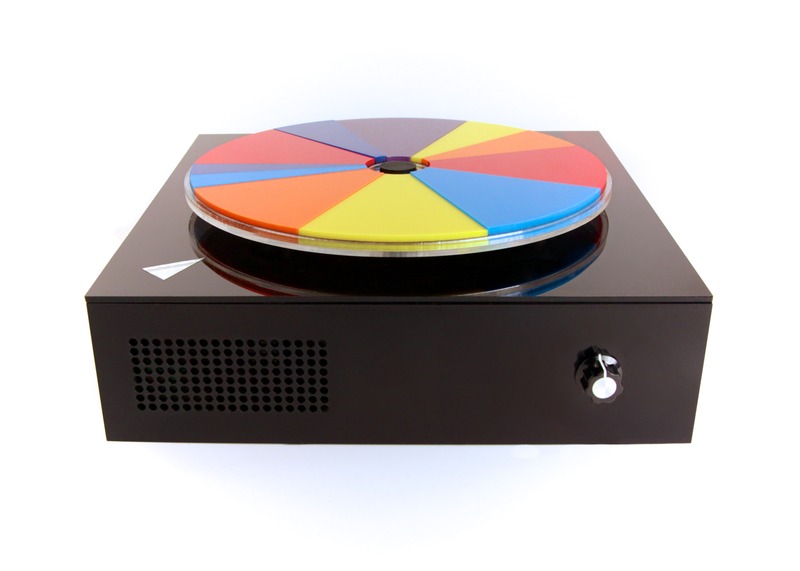 The ColorPlay was created by Louise Foo and Natasha Dzurny to explore the relationship between color and sound. 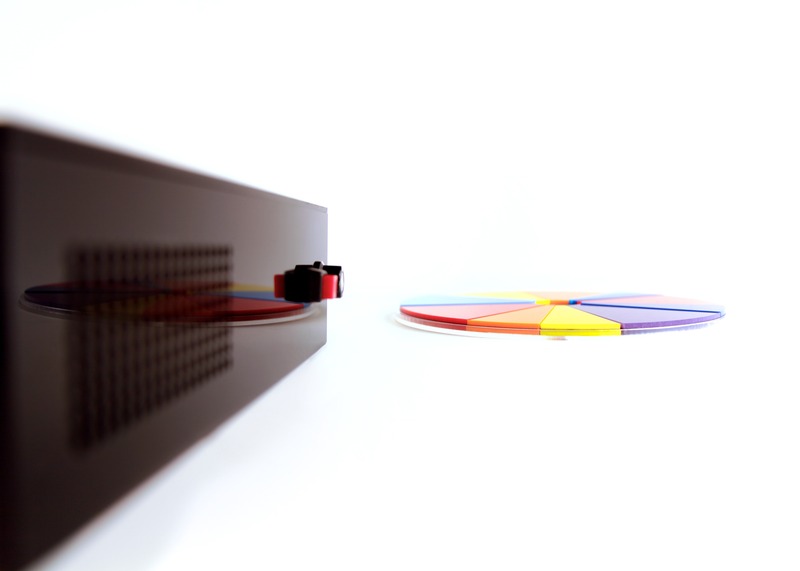 The body of the box was created with Adobe Illustrator and Laser Cut plastic. 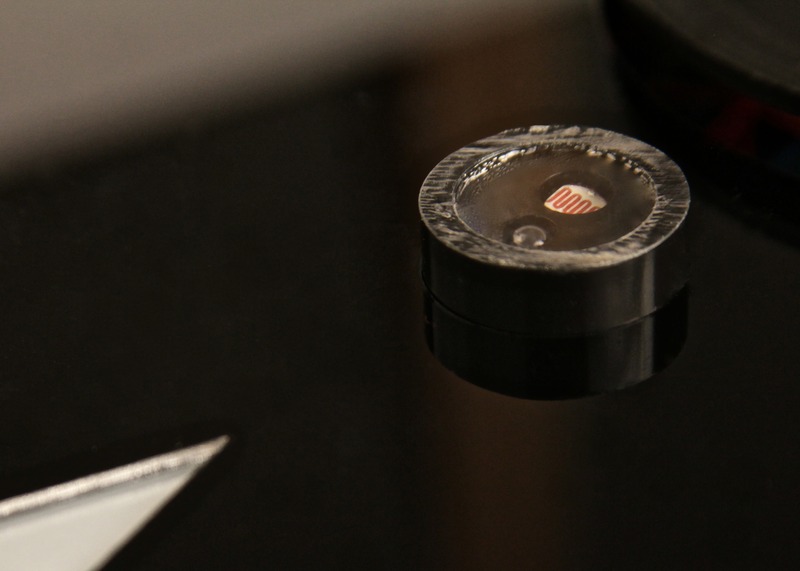 The circuitry includes Arduino UNO, speaker, motor and a color sensor made from a photo resistor and RGB LED.